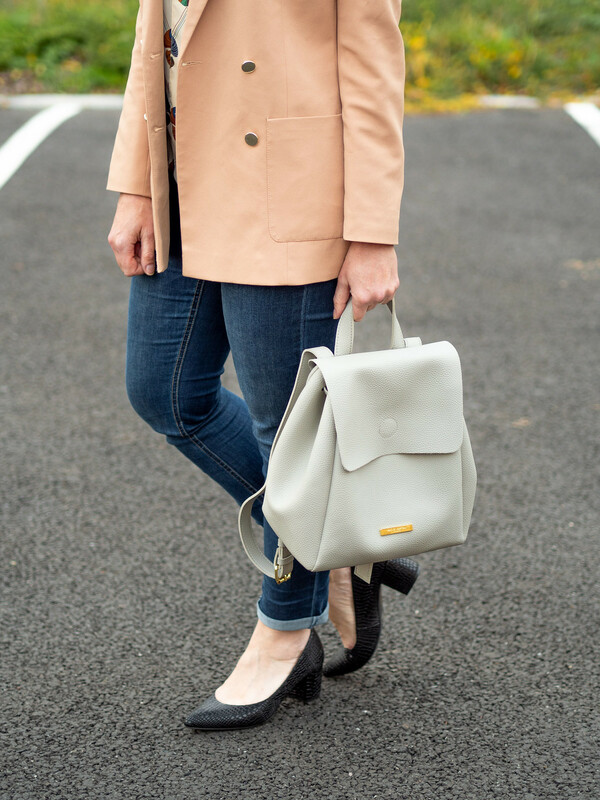 This week’s #iwillwearwhatilike outfit post features denim, another way to wear my camel blazer, a new bag – and new hair! I’m wearing the same camel blazer from my last outfit post, but styled differently (and for a totally different occasion). 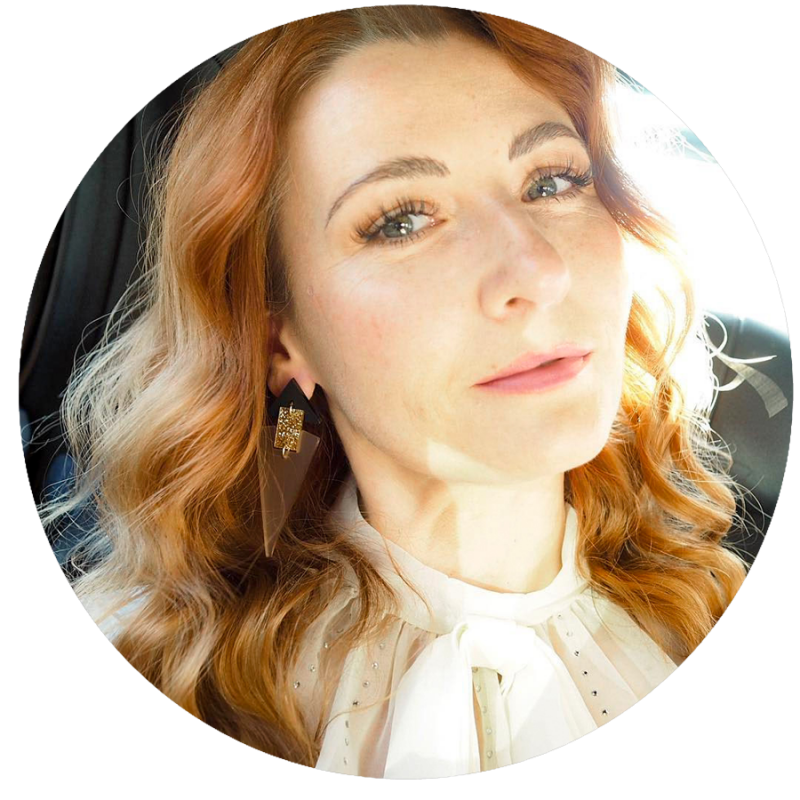 I had an informal meeting last week with a rep from a brand I’m working with, and for once I didn’t have far to travel… just a 40-minute drive in the car: we met in a town near me which made a lovely change from travelling all the way up to London! Normally for work outside of my home office I have to travel by train and take walking and comfort into careful consideration. But this time I could choose heels. This time I could take minimal “stuff” in a not-huge bag. This time I only had to be warm enough for the car and the one-minute walk to the meeting place from the car park. As it was, it was a lovely warm sunny day – we’re STILL enjoying mild, sunny days here in Blighty well into October (albeit with a heavy dose of rain now and then)…! They’re “eco made” jeans and are actually made from 97% recycled bottles. HOW?!! And not only are they eco-friendly but the fabric is COOLMAX® which is specially designed to keep you cool by wicking heat and moisture away from the skin. So JD Williams – as always – have designed something PERFECT for midlife ladies. The fit is also comfy – they’re one of only two pairs of jeans I’ve really worn this year with the heat we’ve had. They don’t gape or bag at the waist (usually the problem I end up with when I need jeans to fit my hips). They do have a few small “designer rips” around the pockets and top part but with this blazer they’re not visible. Other than that, I give them top marks (and only £40 to boot)! A fabulous blouse (last seen on a night out with a pleated maxi skirt) and the camel blazer work beautifully together and instantly make the jeans smart… as I said the rips are hidden under the blazer so if you go for a dark wash denim and no rips then jeans will always look smart and are fine for informal meetings IMO. 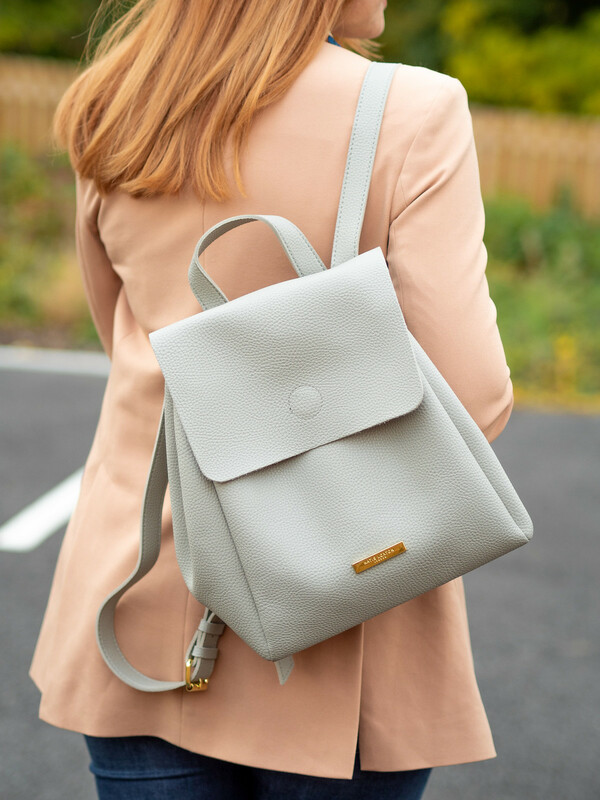 The grey leather backpack is new: another gift, this time from the lovely people at Katie Loxton. They have lots of luxurious gifts from leather purses and backpacks to candles and jewellery, and many of them can be personalised. I love finding indie sellers at this time of year for unusual and unique gifts; next month I’ll do an alternative Christmas gift guide same as I did two years ago (I didn’t do one last year for some reason? 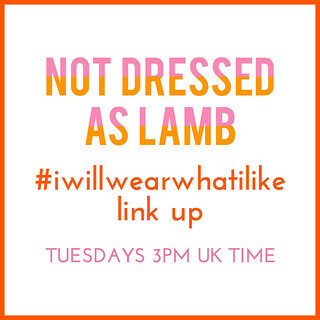 I’m sure Katie Loxton will feature). The leather on this bag is beautifully soft and the quality is wonderful: the grey is going to go with EVERYTHING. 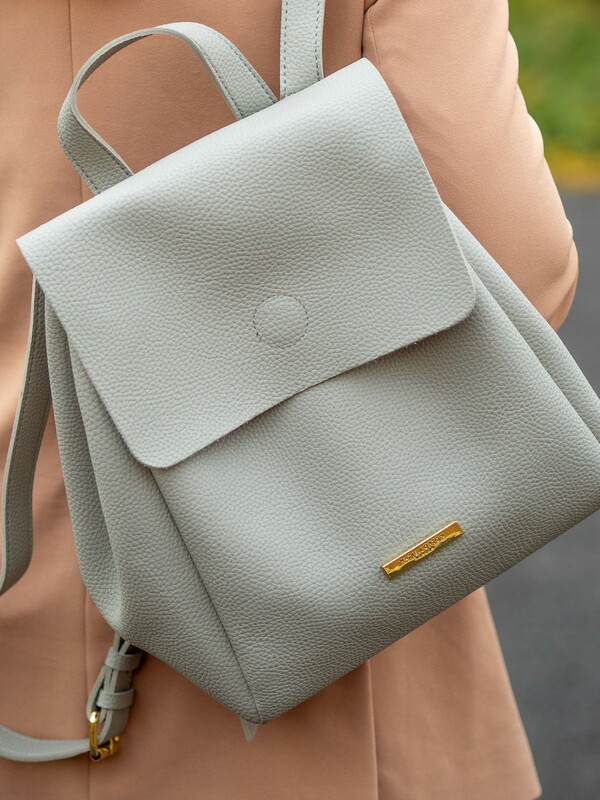 A leather backpack is a great alternative to a tote bag and fits the relaxed vibe of wearing jeans to your informal meeting – I also love the hands-free aspect. I never thought I’d love them again after they were such a key feature of my school uniform days: as always I’m fully converted! And finally my hair: I featured the (re)lightening of my hair on my Stories over the weekend and I LOVE IT. My overall hair colour has been going darker and darker for the last couple of years and I wanted to get back to this pinky-copper colour I first had three years ago, so five hours(!!) in the hairdressers later and I was back to my proper ginger colour. Proper as in “the colour I want to be”, not as in “the colour I really am”. The colour I REALLY am is a mystery, but I’ve already decided to grow out my dyed colour when I turn 50 in four years’ time. We shall see if the grey is grey enough to stay grey….! ARE YOU ABLE TO WEAR JEANS TO WORK AND/OR MEETINGS? HOW DO YOU STYLE THEM? COMMENT BELOW…! Disclosure: I was gifted some of these pieces by the brands (with no obligation to talk about them) but was not compensated for writing this post (click here for my full disclosure). This post contains some affiliate links which means if you click through and buy I may receive a small commission at no cost to you. All content is original, however, and opinions are my own and 100% honest. 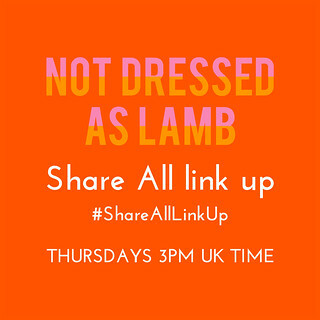 PLEASE NOTE: This is for linking up WHAT YOU’VE BEEN WEARING ONLY. Non-outfit links will be removed and you might be blocked if you turn out to be a repeat “offender”! Do share the love and visit as many links as you can (you never know what other lovely like-minded ladies you might meet) – the original Instagram campaign forged some wonderful new friendships so don’t miss out. I’m thinking of making this a full monthly feature… come back next week for details! I love that gray leather backback. 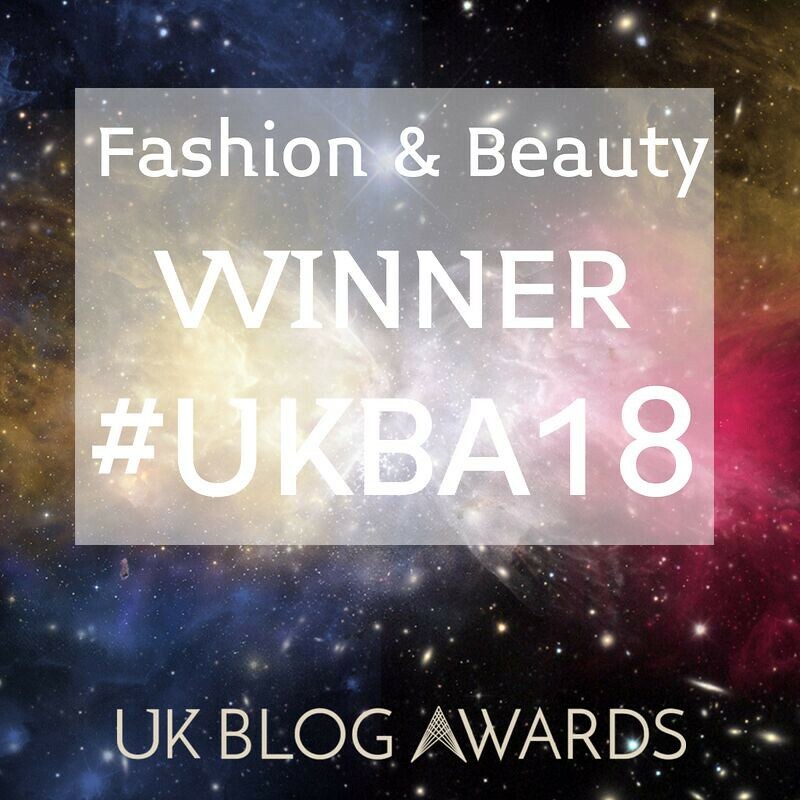 Great jeans – a big pat on the back for JD Williams! I love your shirt, fab print. I love how you dressed up your jeans with a blazer because it makes it look more sophisticated! I think I need to dress up my denim. I also love your neutral bag. What a great look! We’re only allowed to wear jeans on Fridays, which is total bummer, because I have so many work jean ideas… I just bought a pair of jeggings that are made from recycled bottles — what kind of wizardry is this????? I know – HOW do they make fabric from plastic Daenel?!! I don’t get it, but boy is it clever…! I love that look, as I live in jeans quite a bit and find the blazer length so flattering and stylish. I have seen a few on the high street, but I’m very tempted by the one you are wearing (love the colour) – there are also a few check detail ones I like – there’s too much choice! Love your hair as well by the way – I’m not sure how to use the whole stories thing on Instagram yet I clicked on it by accident on Saturday and there you were! Catherine you have a sparkle back! Your hair is fabulous I am loving it! JD Williams are turning out to be a very commendable brand dont you think? Hurrah and high five to them! Sustainable denim is so rare, I’m thrilled to read that JDWilliams have such a fabulous eco friendly line! Thanks MT – yes how do they do it? If they can make this great denim which can’t ALL denim be made that way????? I love that gray leather backback. I always have mixed feeling about carrying these but you make it look so stylish!!! Love it. This look feels very classic to me, but I love how you’ve made it yours with a pop of retro pattern. I feel like you can’t go wrong with a camel blazer! I have to almost stop myself reaching for the camel blazer EVERY time, Cheryl!! It goes with everything…! I absolutely adore this look Catherine. It’s coolly chic, if that makes sense. The jacket is such a pretty colour. The hair is gorgeous! Such beautiful colours! I love it too when a appointment is not far away from my car! High heels and all. Hehe thanks Nancy – I don’t get meetings that close very often…! Just love this look, so effortless but effective. I would have got stuck at the type of shoe, could you do a post as to what shoes or boots look good with skinnies, boyfriend, other types of trousers, I get so stuck on this on my pear shaped calves and legs. Thanks for a great post. I love blazers. The colour of yours with the jeans is great. And how cool is it that you can meet a rep so close to your home? The soft grey of the bag is a beautiful neutral. I often prefer a small backpack to a bag so I can be hands-free. Thanks for the linkup. Love your hair that colour. You’re very brave to say you’ll grow your hair colour out at 50! It’s the growing out process that frightens me the most. It’s really out of curiosity Gail! My roots are so white that I’m dying to know (see what I did there 😉 ) what colour I really am…! This is my favorite way to wear jeans. A blazer just seems to add so much sophistication to it! !